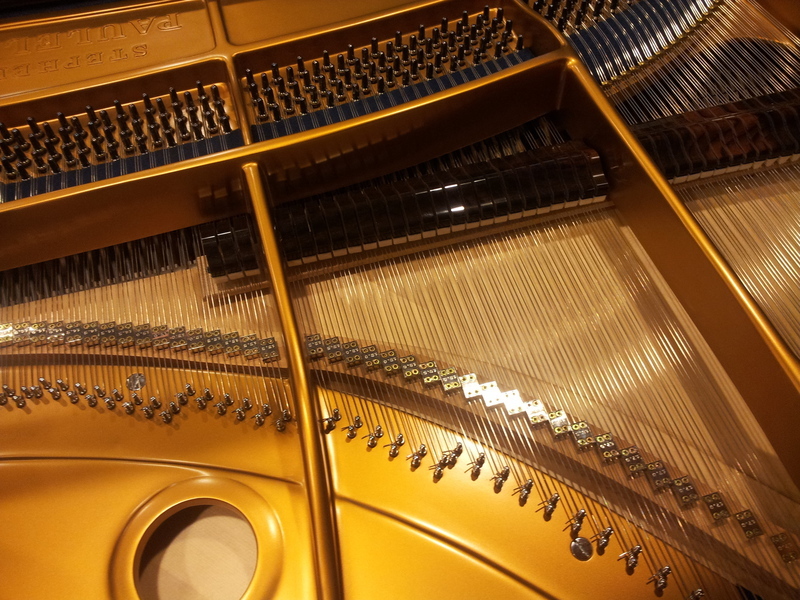 At the end of April 2015, an annual event bring together our profession for three days of piano tuners from all over France, but also from Geneva, Montreal, Barcelona and Madrid, many interventions took place. Benjamin Renoux presented his copy of Walter fortepiano, and this universe was developed with Christopher Clarke. 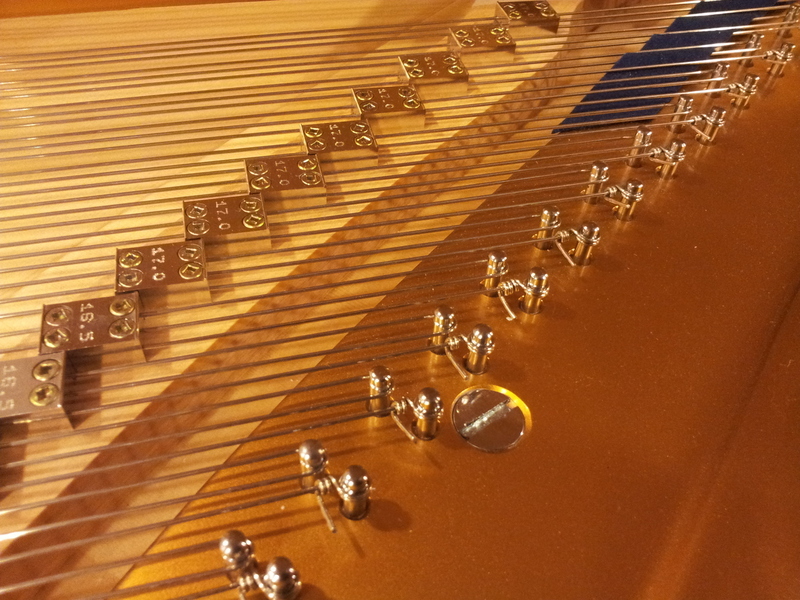 One of the latest piano of Stephen Paulello was presented at the congress in Alsace. The presentation of this unique instrument and especially those to come are a turning point. 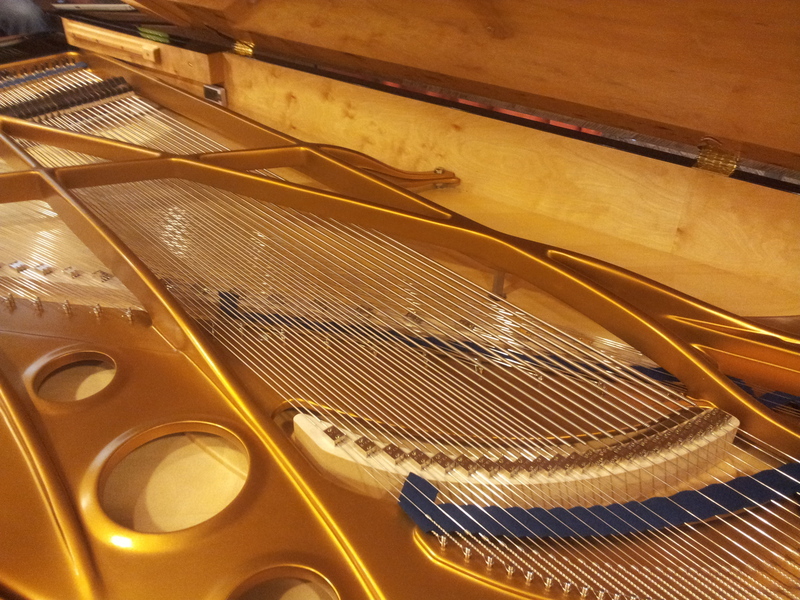 Fifteen years of research has led to this unprecedented evolution and perfection in how to design a piano. Upheaval in the music world, a big step for instrument making. Much work has been done and still progressing in acoustic laboratories Polytechnic (IMS) , the LVA of INSA , UME of ENSTA of Lyon, the MSA (architected materials and structures) or laboratory NAVIER of the National School of Bridges and Roads (l’ecole nationale des ponts et chaussées) . Ambition is given and already materialized: "imagine a new paradigm to initiate a new era " . 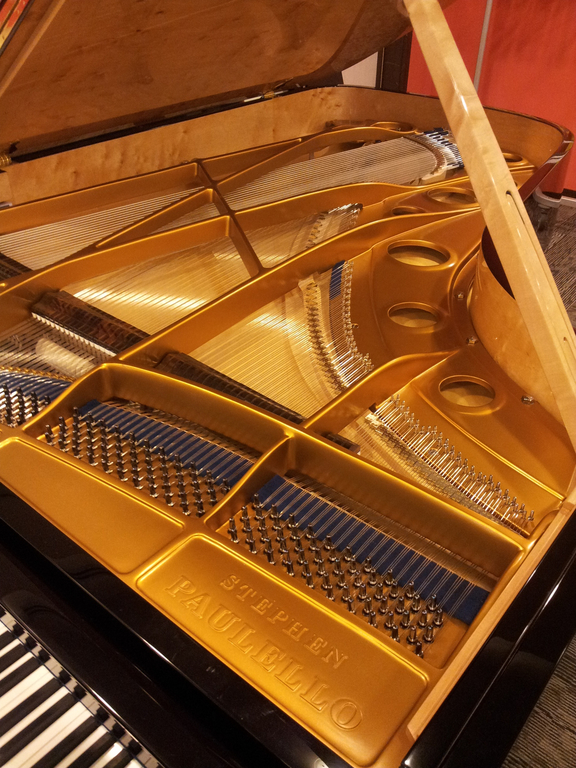 In an ultimate goal of development and musical acoustics, Stephen Paulello after more than twenty years of research and exceptional piano making, pursuing a calling into question of the foundations of methodical pianos design processes. For over a century, the universe of piano is thought with rather similar criteria. Stephen Paulello goes against current instrumental make as distorted and unchanged for over 130 years and according to him, after a brilliant demonstration of the scientific and historical reasoning erred in a "trap": "for choice of cross strings, instrument making has engaged in a trap, for over a century. 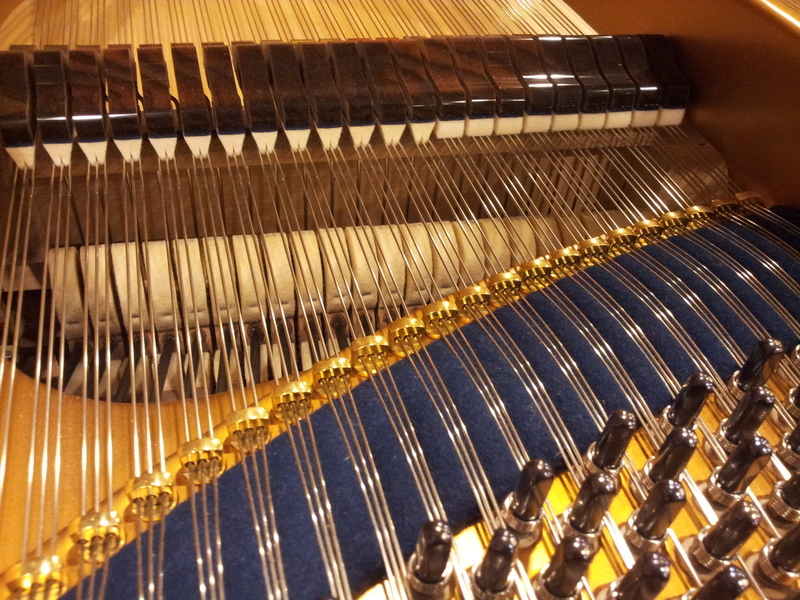 It is a myth to say that the cross strings give the piano a longer string plan." Stephen Paulello reversed on a festival of ideas that persist since the late nineteenth century. 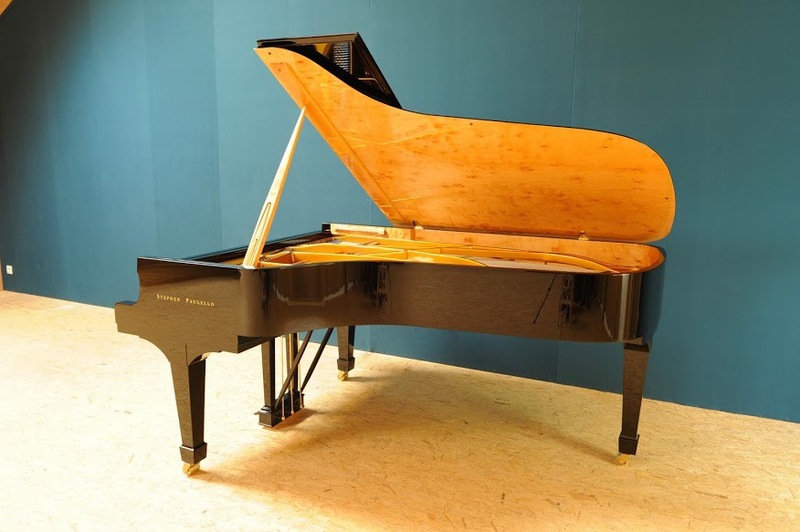 Paul-Etienne Berlioz recently acquired Paulello piano and transported it to the Congress of Colmar, unique testimony of the great revival of instrument making of the piano ! "Avant-garde by the research and inventiveness they contain, rare by their level of achievement, prodigious by the musical intensity they emit, Stephen Paulello pianos celebrate the music and musicians. They are born in the privacy of a laboratory workshop where everything is bound to give them a soul . " Welcome and presentation speech for our annual conference. Welcome to Alsace! Look carefully around you, because in a familiar tone, we are meeting as a family of course, but as a bonus, you're back to the fold, in this cradle where have been written some illustrious pages of instrument making which continues its path ! At the heart of fabulous soils there in Colmar, a few miles away from illustrious valleys, near Munster in Alsace and castles, that. You are here to satiate of this country of clichés. At one wing flapping, stork images of Epinal, pleasures of the table, while a country of beer and wine, cherries, currants, grapes, cabbage squabble earth, and in the middle of the country of Bacchus, the seven local capital sins so exported, the seven Alsatian grape varieties, are pampered! Easy echoed these riches of the soil, there, if by chance you carry your gaze away, near the Vosges spruce forests and those of the Black Forest which already bring us a little more mythical Bohemian forests where so many instruments draw their wood table, their vibrations and their song, there is the diversity of musical instruments make, a great expression that is transmitted generation to generation here for centuries. It always struggling energies that are illustrated. On loan from the Strasbourg National University Library (second library in France after the BNF François Mitterrand), this exhibition came up to you as an invitation to discover or rediscover Jaëll Marie (1846-1925), big fan of the instrumental make. These display boards have a wish, the setting of a heritage of many talents of Alsace, and that under the sign of musical instruments make, his ideal of diversity, its renewal. A pianist, here, how curious? Marie Jaëll, guest of honor at a piano technicians Congress! Outrage? Tribute! And wink of Alsace, of an Alsatian and people still write a lot about her! But where are we? In a center of the make of : organs, some Silbermann, but especially in the footsteps of Ignatius and of his son Camille Pleyel who was born in Strasbourg, of Prestel too, many trajectories of families as Erard, who initially flourished in Alsace! Some of us will be shocked, like surgeons of vibratory forces which sometimes concentrate intensely on the issues of the body, the physical, the only condition, while deliberately ignoring the rest. Gustave Lyon (1857-1936), illustrious name of instrument making, a pioneer in many fields, the legendary open-mindedness, he was much interested in the piano as being by (hospital research on hysteria). He would not hide this Marie Jaëll. Gustave Lyon, son of Auguste Wolff, left the polytechnic School of Mines, our illustrious "ancestor" put all his qualities to the piano to be called the Pleyel piano at the top of the piano make as emphasized Jean Jacques Trinques in one of his books, The Pleyel piano, from one millennium to another. He would have liked to fall to these views of Marie Jaëll on these exhibition panels; no doubt he would have acquiesced thumbs-up for her to be in the middle of us. Marie Jaëll, she who developed this myriad of talents, both composer, educator, researcher, writer. Her work has passionately interested more than one and yet she is to be discovered. With her husband Alfred Jaëll, they formed a couple of pianists traveling across Europe, familiar with Franz Liszt and Johannes Brahms. But what the devil Gustave comes to do in this case? It has beautiful temperaments who agree! Gustave Lyon and Marie Jaëll, both hungry for the same ideal, acoustic, musical, instrumental ... actually have maintained more of a friendship, a correspondence. No doubt, just as Marie Jaëll greet the presence of Gustave Lyon, eternal love with musical make of instruments. The following lines are a tribute. To do resurface the past, imagine them with us because like many others it will not be possible to speak despite a desire for completeness, they keep their place with us.
" Do you know that this night I was awake a long time thinking about your instruments and you were heading in that character in different directions as if you wanted to adapt it to different artistic personalities. The extreme lightness of the keyboard and timbre have an undeniable connectivity. The extreme ease of keyboards gives the faculty of fugitive nuances in speed that are indisputable but it also gives the art of listening the sound up to a limit where the modern piano almost merges with the harpsichord. These are your instruments with their ennobled stamp that form the conquest of our modern consciousness, they are developed in parallel with it. It is with our today’s eyes as we look retrospectively works of art of the past it is with our today’s ears that we must listen to musical works of the past and our instruments belong to us as much as our eyes and ears: they are our aspiration (to be provided) to the beautiful in an expanded form to which the great thinkers who have played the piano have contributed as much as the large manufacturers that manufactured pianos. " 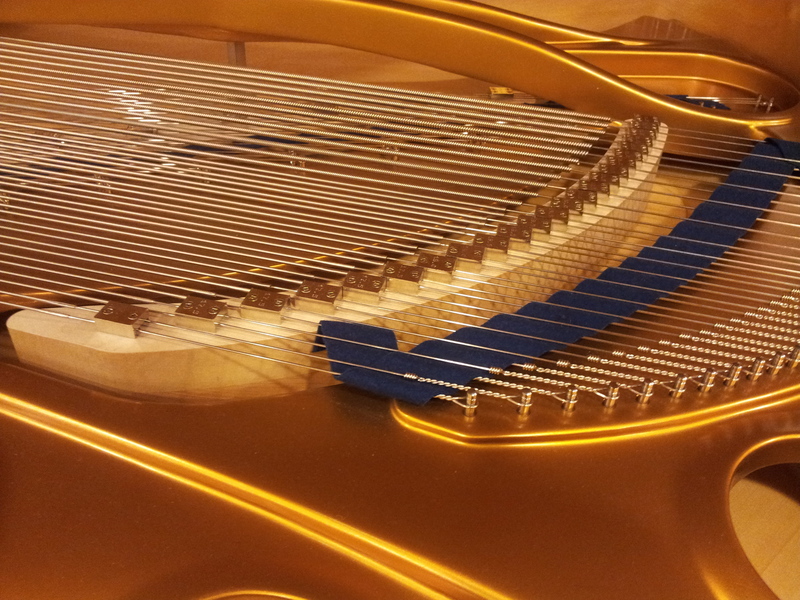 Enjoy the Congress EUROPIANO France 2015 ! Thanks to Mary, my partner, to Mr Claude Lorentz, responsible for the valuation of heritage collections of the National University Library of Strasbourg, Mr Daniel Bornemann in charge of collections and of the Reserve, Frédéric Blin, Director of Conservation and Heritage Marie-Laure Ingelaere for research and advice, President of the Marie-Jaëll Association; the Council of Turckheim, the cultural department and Mrs. Piasi, Mr Dominique Kretz, head of technical services, the council of Colmar and its cultural department, Mr Bruno Peraud of Public Relations, Mr Denis Nebold, Mrs Braun, Bernard Thomas, Alexander Braiek, Mael Robichon, Mary Arman, Luc Guiot, Benjamin Renoux, and all the team of EuroPiano France.